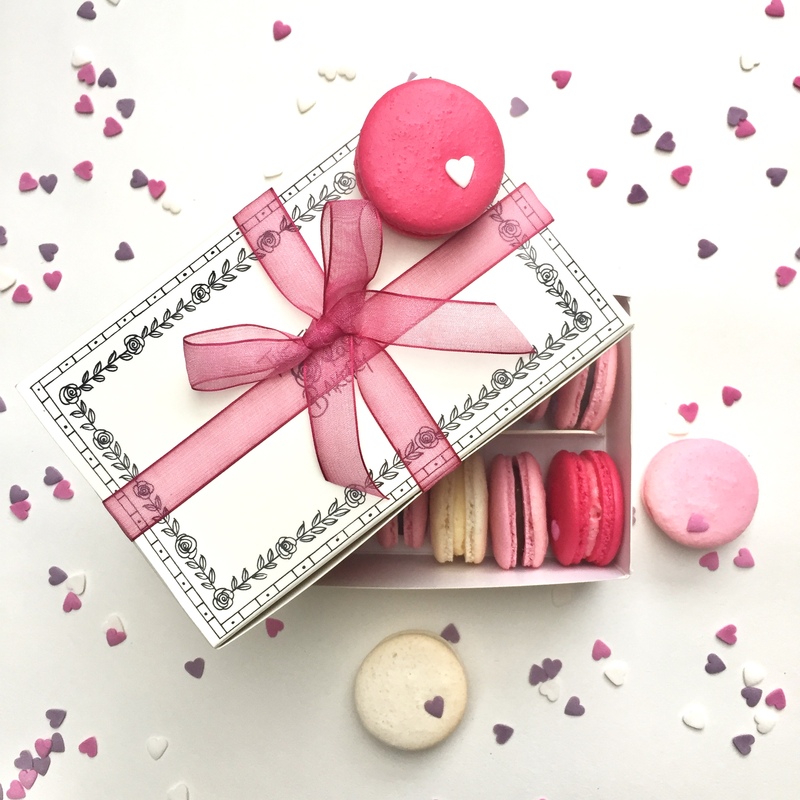 A beautifully packaged box filled with 12 vegan macarons with sugared hearts in chocolate, raspberry and vanilla flavours. The perfect treat to share with the one you love or just for yourself. 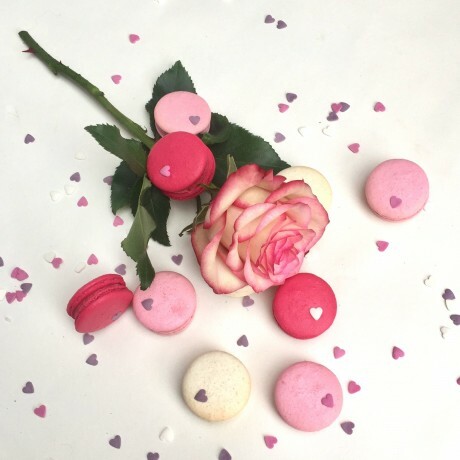 These macarons are hand-made using the finest local ingredients and are gluten free. Shelf life: BEST CONSUMED WITHIN 6 DAYS FROM DISPATCH. Keep refrigerated and best eaten at room temperature. delivery is included via Royal Mail 1st class signed for service who aim to deliver the next working day but it’s not a guaranteed service. Please make sure somebody is able to sign for your parcel. Vanilla:Aquafaba, caster sugar, ground almonds (nuts), icing sugar, Vitalite Spread (sunflower oil, raspseed, palm oil) Water; salt. Emulsifiers - E471, sunflower Lecithin; Preservative- Potassium Sorbate; Lactic Acid; B vitamins, Vanilla extract. Contains NUTS, SOYA Produced in a bakery that handles nuts, milk, soy, wheat products and fish. loved these, they were exactly what I was craving. loved these, they were exactly what I was craving. the packaging is also plastic free which was a huge bonus. thank you, i'll be ordering again. It’s diffic to find good Vegan treats, but these were unbelievably awesome, will definitely buy again! Ordered a 14 box of macaroons for a birthday present, my mum loved them. I ordered a box of 14 and they arrived promptly and all in good order. They were nicely packaged and each flavour tasted delicious, melt in the mouth.l I will be ordering more for a vegan afternoon tea. Bought as an anniversary gift for my parents who are always raiding the pick and mix stand at the cinema! The macarons were really yummy and tasted just like the sweets! They disappeared quite quickly! The delivery arrived the day after I ordered which was brilliant. Thank you very much, would definately order again. Please bring them back in stock! Ordered a box of 14 macarons as a birthday present. Ordered a box of 14 macarons as a birthday present. Very easy ordering process and they arrived the day after I'd placed the order which considering they are hand made was outstanding service. My auntie was absolutely delighted with them. They were exquisitely packaged and presented (she sent me photos of them as she was so delighted!) and I have been told they taste absolutely delicious!! 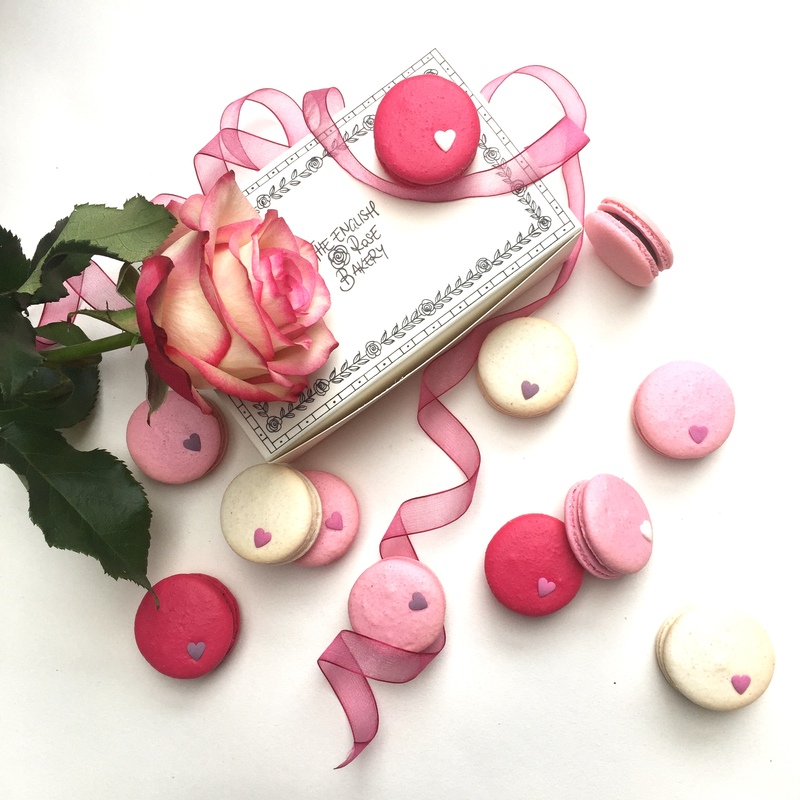 Perfecting the art of the French Macaron since 2010, they take great pride in creating a wide range of delicious treats.